The Fortress Rodna is documentary attested since 1235, but traces of inhabitance date farther back if we consider the stone-ax around 300 BC. The Ethnographic and Mining Museum will have a strong impact on the spiritual life of the village Rodna and will make its mission to present our continuity in this region, the life and activities developed along centuries of the “ones passing by like flowers and leaves of the seasons, leaving behind the depository of their soul (M. Sadoveanu). This activity of gathering the traces of inhabitance in this region started in 1959-1960 initiated by prof. Hegedüş Terezia Elena together with students of the school in Rodna. This incipient museum was set up in a class room. The one who will have a decisive contribution to setting up a real museum will be Leontin Silvestru Mureşianu, both in his quality of mayor, then vice-president of the Local Council Rodna. 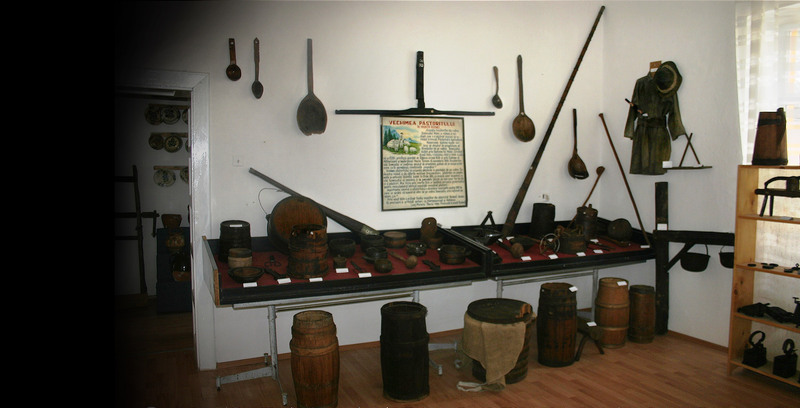 By arranging the space of the former prison from Rodna, it was easier to organize the material gathered by Leontin Silvestru Mureşianu in departments: history, mining, Florian Porcius, agriculture and agricultural tools, ceramics, folk costumes, farm-house. The museum, arranged as presented, was inaugurated in 1973, receiving many visitors, locals, from the country and abroad. He was supported in his endeavor to collect objects, by prof. Liviu Păiuş, prof. Mâşu Doina and many students. In ere arranged the time, it proved that the location was not proper for sheltering the museum objects, because of humidity and dampness of the walls. As such, it was decided to move the objects in the upper hall of the cultural house of the village. Here, there were re-arranged the departments of the museum according to the plans of prof. Liviu Păiuş, who took over the museum from Leontin Silvestru Mureşianu in 1988, when the latter retires. 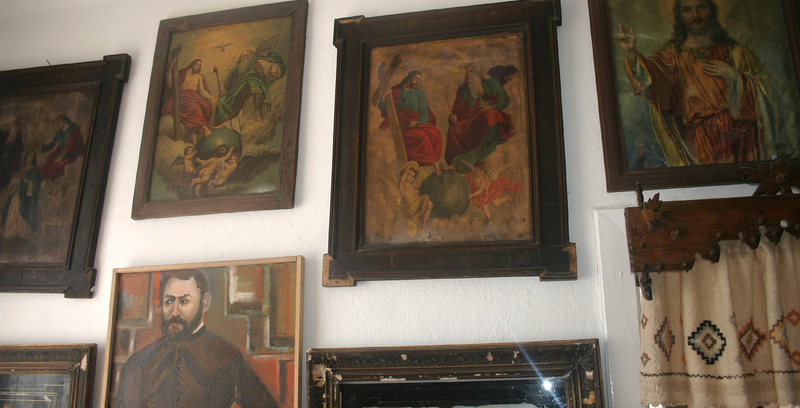 He enriched the inheritance of the museum with many objects: art works, books of authors from Rodna, church objects, fauna objects as well as folk-costumes, mining objects or house-hold objects. One has to mention that in 1991 Dr. Alexandru Năşcan purchased on his own resources, from the descendants of the painter originating in Rodna, Florian Mureşianu, 13 paintings in oil and 64 illustrations to the poems of Cosbuc, as well as drawings to the stories of Ion Pop Reteganul, that he donated to the museum. 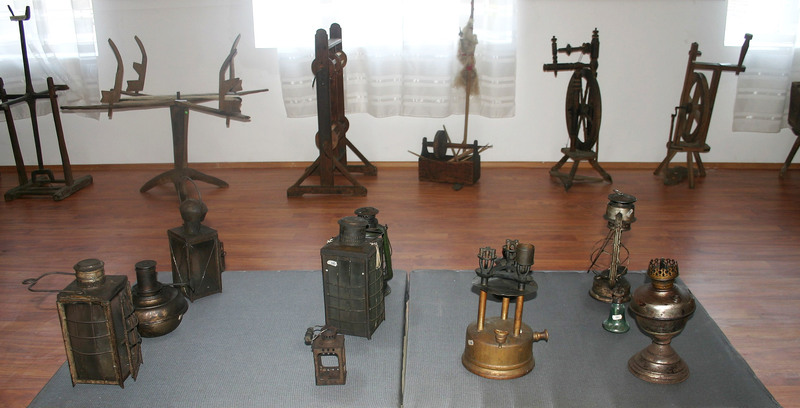 In 2008, starting with July, the Mining Museum Rodna was taken over by the Museum Bistriţa-Năsăud. The museum disposes of a variety of objects, some of them, of great value. One has to notice the old mining objects, among which, oil lamps, a proof of the long time occupation in this area. The list has to be completed with the whole range of perforators and pickaxes, but also with photographs concerning the washing of the ore, groups of miners in the period 1912-20, but also with the mine and the two flotations existing in Rodna. To this, one can add several photographs of the Miners Fanfare in Rodna, the oldest being the one set up in 1860. 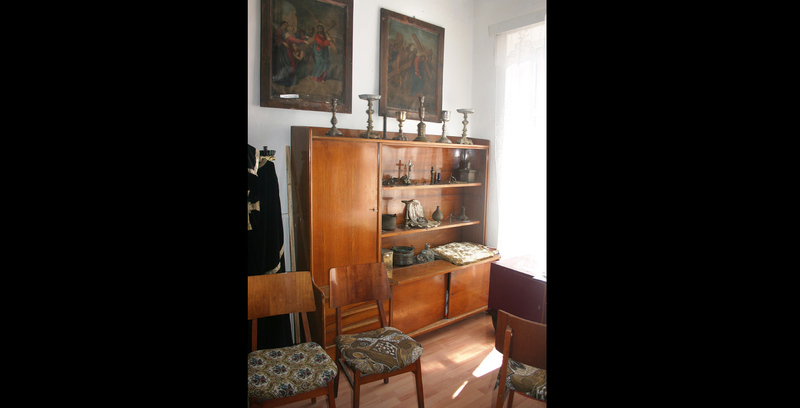 There are gathered pieces of furniture belonging to the academician Florian Porcius, 4 chairs covered in leather, reproductions of paintings, as well as his main works re-edited by prof. Liviu Păiuş in 2006. Concerning the base occupation of these inhabitants, the agriculture, the museum has a wooden plough having only the tip of the plough made of iron, together with many other old agricultural objects: barrels made of a single log – made for cereals, corn-ripper, wooden-harrow, and others. A good representation have the animal breeding and shepherding, being represented in the museum, in all the objects to use in a household. 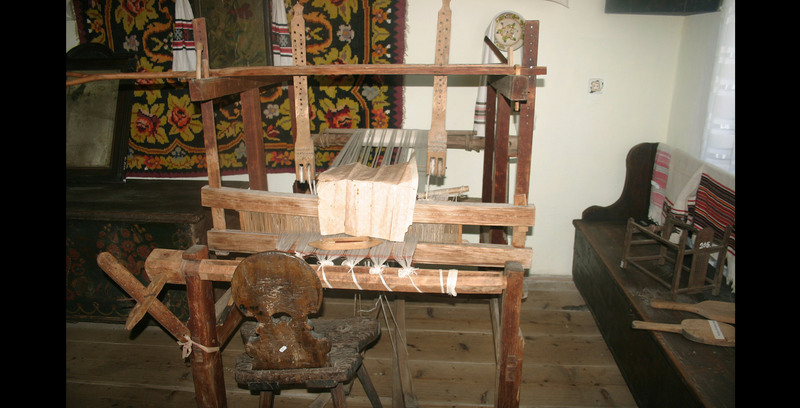 Many objects are connected to the manufacture of hemp, the main textile on the village household, from the simplest objects up to the moment when the plant becomes fabric. Other activities are also represented: handicrafts, carpenters, blacksmiths, masons, skinners, butchers. Medical assistance (several objects from the first pharmacy set up in Rodna in 1876) is highlighted by several objects from the beginning of the 20th century. Although it has never been a center for clay-manufacturing, because of the weekly-fair (the right to hold a fair was awarded since 1520) and of the sic annual fairs, here there were made many exchanges of ceramic goods and the traces of these exchanges can be observed in the over 200 different ceramic objects. 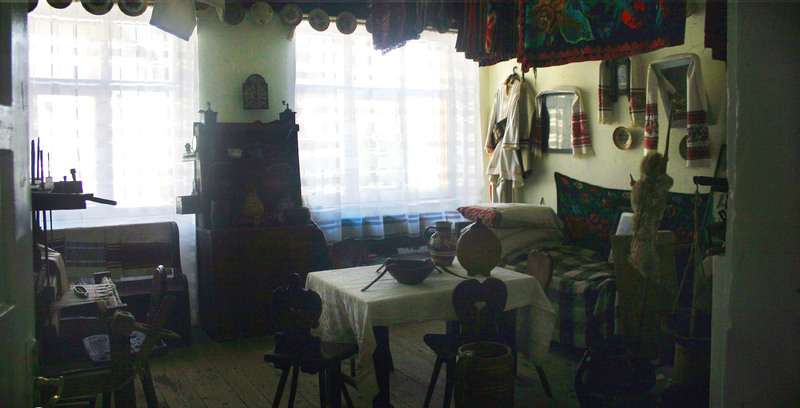 In the museum there is set up a traditional farm house room, comprising: an oven with hearth stone, dishes from 1886 on the walls, the mast to hang the big, valuable objects, a table with four old chairs, bed and last but not least the dowry chest painted in dark colors, dating back to 1866. We have to mention here the light objects both from the house and on the streets of the village, as well as the famous chandeliers used in offices or chancelleries. The hunting richness of the Rodnei Mountains is represented by a stuffed chamois, wolf or bear furs as well as trophies of stags, deer and many crannies of wild animals. To this there are added traps for wild animals. The folk-costume is represented by all the clothing pieces both for men and for women, along an evolutionary process, from the oldest to the newest. Imagined in our times, there gathered objects representing the age of the Christianity in this region, knowing that around 1200 in Rodna there flourished the Christianity. These objects comprise the whole range of cult objects: chalices for the communion, ark-candlesticks, priest-clothes, censer, sticks for candles, copper boiler for holy-water, etc. The part dedicated to local history comprises: the unpunctured ax made of grinded stone, human remains after the Tatar invasion from 1242, different kinds of weapons together with their accessories, German helmets from the first World war, old projectiles. From the times of the II Border Regiment we have: the chest of the 5th Company Rodna, the chest for the officers, the chest for cadets and wonderful letters in poems from the two world wars. We also have to mention two flags: one marking the existence of the fire-fighters formation from 1914 and another one representing the “Queen Mary Foundation for the Cult of Heroes”. 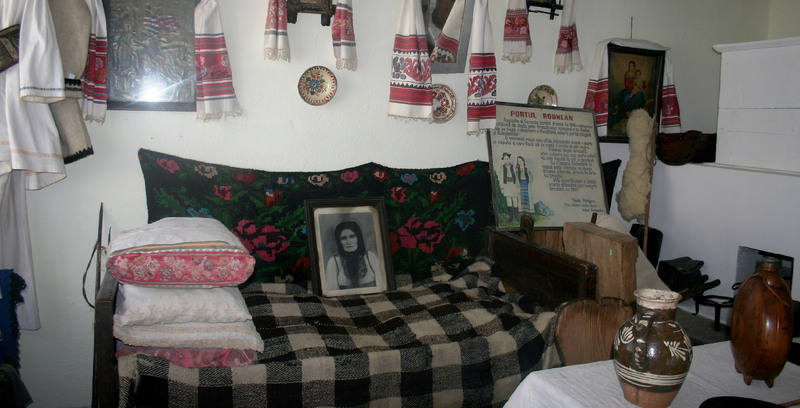 The cultural life of this village is represented in painting of Florea Guşă, Florian Mureşianu, Ioan Florian, Clementina Domide, Mihai Cherecheş, Ştefania Vaida and Maria Lipan. One can find here the main writings of authors from Rodna: Emil Bălăi, Iacob Guşă, Adrian Istrate, Gherasim Solovestru Domide, Aurel Cleja, Leontin Domide, Mircea şi Leontin Mureşianu, Liviu Păiuş, Cornel Filip Domide, Toma Rocneanu, Ana Berengea, Dan Popescu, Ion Bureacă, Florin Moldovan. 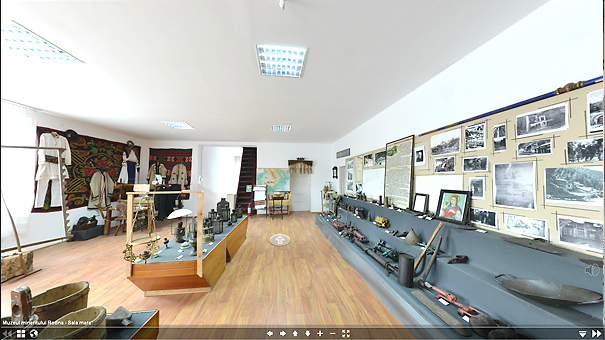 The museum can be and is visited by visitors from the entire country and abroad.